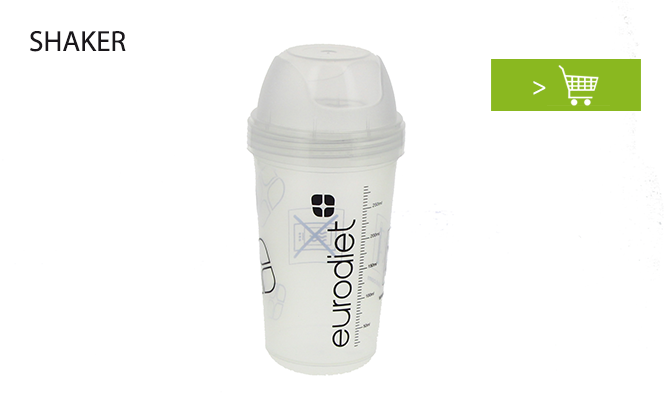 You are connected to the "Eurodiet" website of Protein System SA. Eurodiet is the owner of, or holds the rights to, all the elements that make up the Eurodiet website, data, photos and videos included. Any reproduction, representation, broadcast or repeat, whether partial or total, of the contents of this website by whatever means without the express authorisation of Eurodiet is strictly forbidden and would constitute an infringement, sanctioned by the Intellectual property code. All logos and product names featured on the Eurodiet website are registered trademarks In agreement with the Intellectual Property Code, any total or partial reproduction of these trademarks and/or logos carried out based on elements featured on the site without the express authorisation of Eurodiet is strictly forbidden. The user of this website acknowledges that he/she has the skills and resources necessary for accessing and using this site. Under no circumstance can Eurodiet be held liable for any errors or inaccuracies that may be found on this website. Eurodiet assumes no responsibility or liability for the information available on its website. Moreover, no warranty is given as to the completeness or accuracy of the information made available on this site. Please note that fraudulent access to a computer system, damaging or causing malfunctions in such a system, adding or changing data fraudulently in a computer system, are criminal offences and, as such, punishable by law. Eurodiet reserves the right to modify the content of its website at all times and without notice. In case of service interruption or unavailability, Eurodiet will not be held liable for any error, delay or omission in connection with the content of the present pages. The creation of hypertext links towards the Eurodiet website is subject to prior authorisation. A cookie may be installed automatically when you visit the Eurodiet website. The user acknowledges that he/she is informed of this possibility. Cookies may be disabled in the settings of your internet browser.